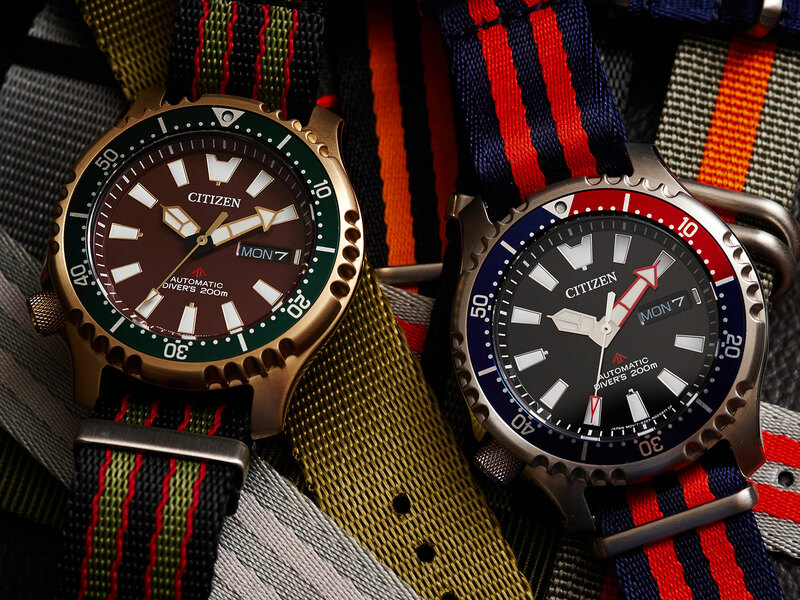 While not as well known amongst watch enthusiasts as their cousins made by fellow Japanese watchmaker Seiko, Citizen’s dive watches have exemplary pedigree, being recent or current military issue to divers in the Italian, French and British navies. The model most often encountered is the Promaster ref. 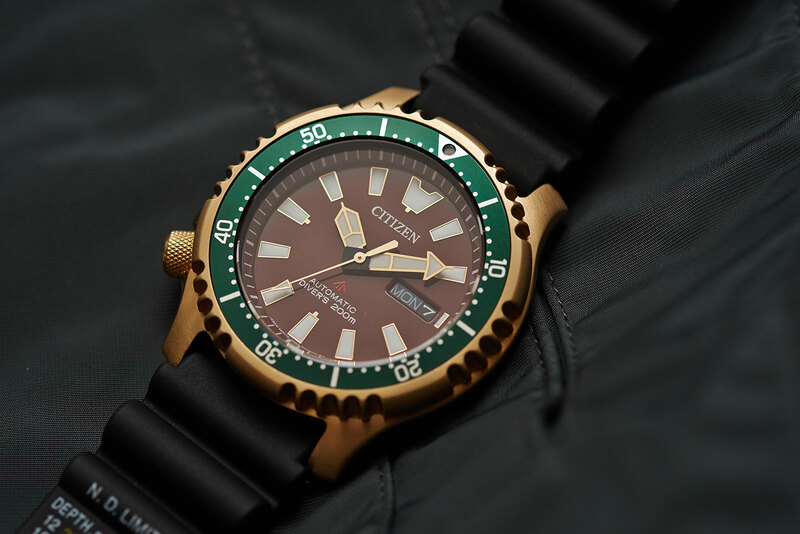 NY004, a robust, no-frills diver with an automatic movement and a crown at eight o’clock. 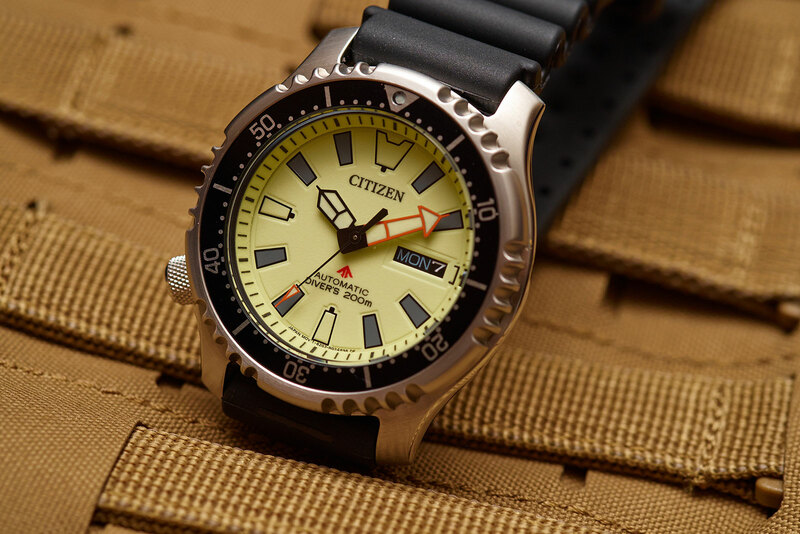 With Citizen’s emphasis on solar-powered watches, the NY004 was discontinued several years ago; the professional-spec dive watches in its current catalogue are all quartz. But the automatic diver has just been resurrected as a limited edition for Asia as the Promaster ref. NY008. The Promaster Asia Limited edition NY008 retains the same 42mm steel case with a mineral crystal, serrated bezel and cal. 8203 automatic movement. And the depth rating remains 200m, although COMSUBIN, the Italian navy’s commando frogman unit, tested the NY004 to 500m before clearing it for use. 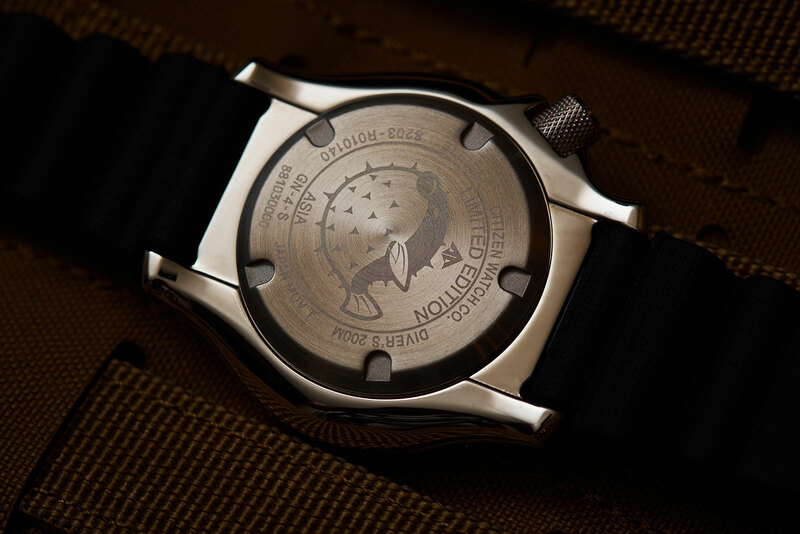 The unit’s issued watches are thus marked “Marina Militare” and “500m”. Having the same case, the Asia edition should presumably withstand similar pressure. But the dial has been designed, taking inspiration from Citizen’s signature analogue-digital JP2000 dive watch, with luminous baton markers replacing the spheres on the original. The hands have also been enlarged, with the minute hand outlined in red to distinguish it from the hour hand. Five versions of the NY008 are available, each limited to 1000 pieces and available across Asia. 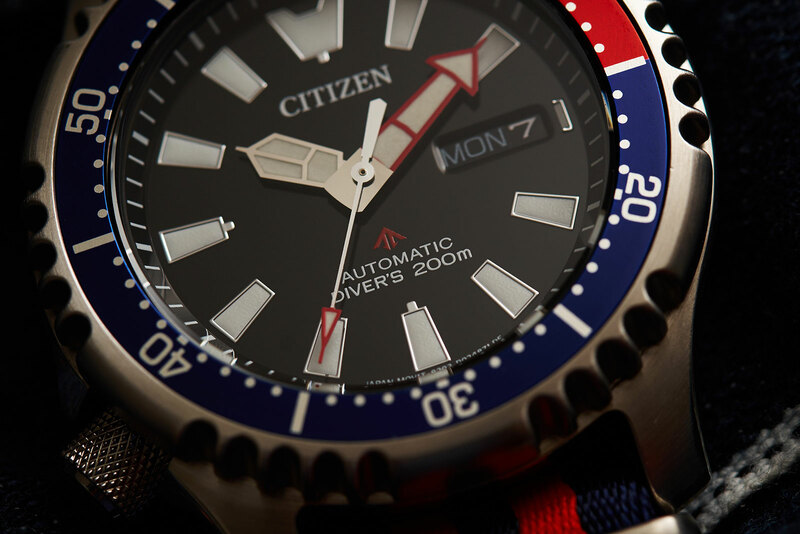 The line-up includes two known versions of the Citizen diver, one with an entirely luminous dial (NY0080-12X), and another with a red and blue “Pepsi” bezel (NY0088-11E). Additionally, two 500-piece runs will be available in specific markets. Singapore and Malaysia gets a version with a gold-plated case, green bezel and brown dial (NY0082-17X), while Thailand’s edition has a steel case with green bezel (NY0089-18E). 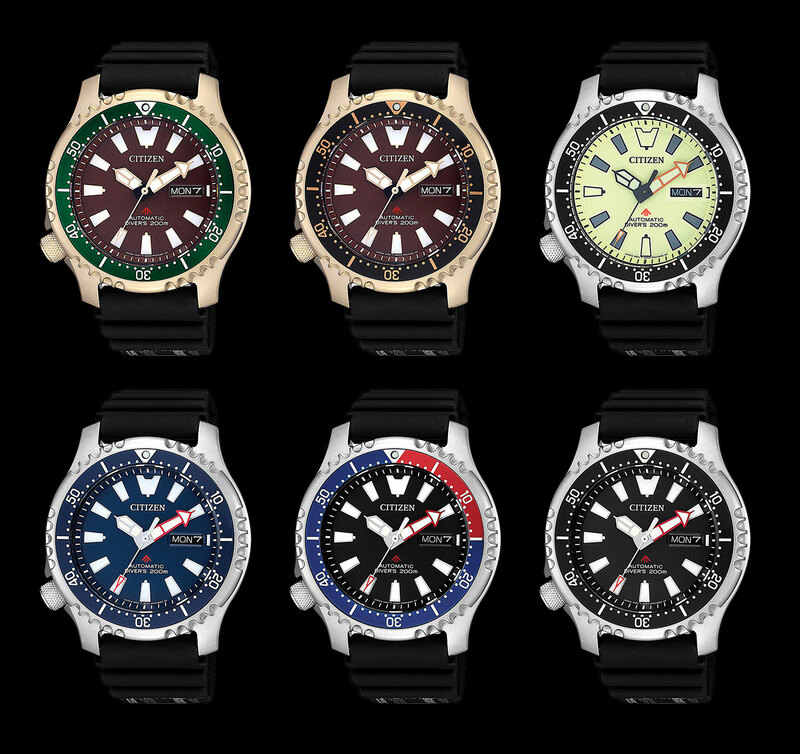 Available at retailers around Asia, the Promaster Asia Limited Edition divers start at S$455, or RM1340, including local taxes. That’s equivalent to US$330. Made for Singapore's 51st National Day, the all-black "G-Shock x The Majulah" will be sold only in the city state.